New find sheds light on ancient Jewish culture. 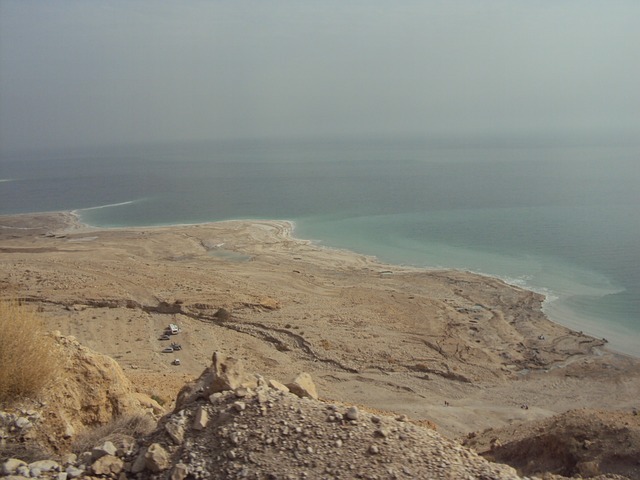 There I was on the shores of the Dead Sea. My chavrusa, Moshe Lambert, and I had opted for a change of scenery for our daily chavrusa. We packed our bags with all the essentials - swimsuits and of course, our gemaras. Little did we know, however, as we leaned back in our beach chairs and resumed our Torah learning overlooking the scenic waters, that our Talmudic analysis would bring to life an ancient truth of the Jewish people. We were submerged in our learning when suddenly a slightly older man sitting in our area piped up “Hey, can you keep it quiet? I’m trying to relax here!” I understood where he was coming from. But were we really that loud? Besides the laughter from a few good jokes I thought we were pretty quiet. We apologized and with a lower decibel dove once again into the Sea of Torah and plugged away at the gemara. We continued uninterrupted until once again, a slightly older man surfaced from the shore and as he made his way past our seats said to us “It’s very refreshing hearing your words of Torah in a place like this.” Amazing! The contrast was striking. The discovery - impossible to miss. I don’t know who these men were or where they were from. For all I know they were both secular Israelis. It’s not an absolute impossibility either that they were both from Me’ah She’arim. What I do know is that day at the Dead Sea the ancient character of the Jewish people came to life. Just as every generation has its Torah leaders and learners - Moshe and Aharon, so too every generation has its Torah opposition - Dasan and Aviram (based on Rosh Hashana 25/b). That the Torah is eternal is not limited to its laws and ethics, but includes the characters and personalities, as well. With enough of experience, you’ll see them all. Shlomo Hamelech taught us אין כל חדש תחת השמש – “there is nothing new under the sun.” This was my discovery that day under the sun at the Dead Sea. In a brief chapter of time the Jewish character was captured in a nutshell, or sea shell, I should say. Any similar stories to share? Please leave a comment below.